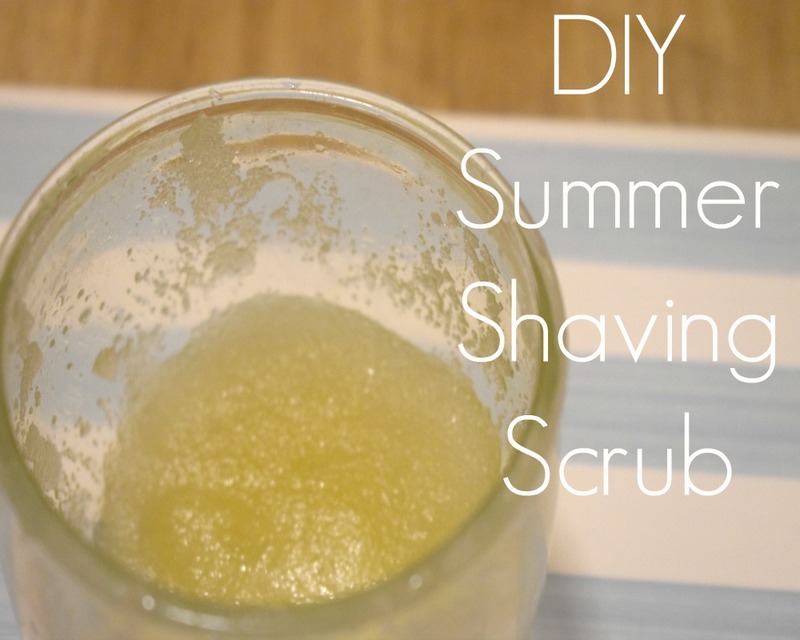 You probably all know by now that I love making homemade scrubs and body products, and one of my favourite products I ever made is this - DIY Summer Shaving Scrub! It exfoliates your legs, helps you to get a closer shave and give you smooth fuzz free legs! Sugar is a natural exfoliant, something I generally use in most of my body products. The oil helps with shaving, and giving you super soft legs. The lemon juice helps tighten, lighten & brighten your skin! 1. Add all the ingredients together in a bowl and mix well, really well. 2. Pop the mixture into a cute jar 3. You can use the scrub on dry or wet skin, but I recommend getting your legs wet first and then doing it. So just pop the shower on for a minute or so, and turn it off again while you remove the fuzz! 4. Slather the scrub onto your legs and shave away. (You can shave with it on). 5. Add some more scrub, and shave again! 6. Wash the scrub off and you are totally good to go!